One of the biggest rivalries in the technology world is the fight between Android and iOS. 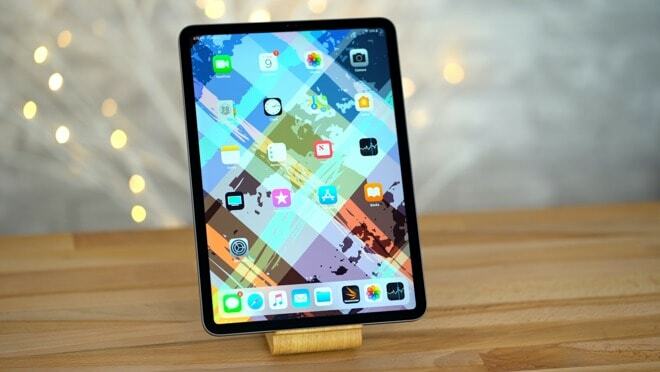 iPhone and iPad users all over the world shout that iOS is better, but the more technical and hardware enthusiastic crowd has nothing but disdain for Apple’s so called “closed off” and “it just works” system. That said, that rivalry is taken into some of the high-end tablets on both sides of the fence, with people wondering what the iPad Pro (10.5-inch model) will be able to do for them that the Samsung Galaxy Tab S4 cannot, and the other way around as well. We’re here to put those questions and arguments to rest in our comparison review. We’re pitting the two tablets against each other, breaking down every aspect of each to help you make a much better and more informed decision during the buying process. So, without further ado, let the comparison begin! Apple’s latest iPad Pro might be billed as 11-inches, but the actual screen size is 10.5-inches. This small disparity is a small complaint, especially when you consider how beautiful the design is in this latest version of the iPad Pro. 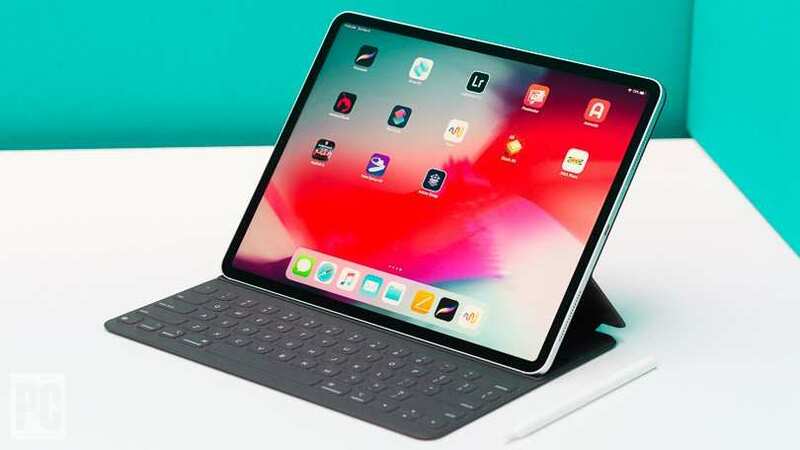 The latest iPad Pro is the latest to come with a near bezel-less display, providing you with more screen real estate than has ever been available before. That said, the front of the iPad Pro has an almost all-screen appearance. The back of the iPad Pro is pretty standard as far as Apple devices go. 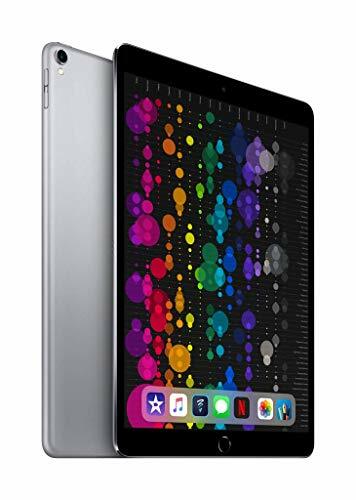 You get that brushed aluminum appearance, with the Apple logo sitting at the center. Near the top-left of the iPad Pro is a new, protruding camera, which can actually some pretty stellar photos — surprising for a tablet! At the bottom of the iPad Pro is a split speaker grille, with a USB-C port sitting between the two sides. You’ll actually see a speaker grill at the top of the frame, as well as a power button on the far-left side. There are volume up and down buttons on the left side of the frame, too. Apple might’ve gotten rid of the headphone jack in its iPhone models, but it remains on the iPad Pro. The iPad Pro actually has a magnetic attachment on one of the side frames, which is there for seamless and easy attachment of a keyboard case. Overall, the iPad Pro is extremely slim, which makes it easy to travel with. Apple also offers it in four colors — Gold, Rose Gold, Space Gray, and Silver. The Galaxy Tab S4, as you can imagine, is a night and day difference over the iPad Pro. You also get a 10.5-inch screen here, but there are some fairly thick bezels that don’t blend in with the screen well. On the right side of the frame is your power button and volume up and down buttons. Like the iPad Pro, it has a USB-C port for your charging capabilities. Similar to the iPad Pro, there is a magnetic connection on one of the sides of the Galaxy Tab S4, which makes for an easy and seamless connection for a keyboard case or type cover. The Galaxy Tab S4 does have a speaker grill on the bottom, which is powered by Dolby Atmos Surround for a unique, cinematic-like sound experience. There’s also a headphone jack that you can use for a pair of headphones or wired earbuds. Samsung’s tablet offering doesn’t have a whole lot of color options, coming in only Black or Gray. As we mentioned already, the iPad Pro has a 10.5-inch all-screen design. It’s using Apple’s new Liquid Retina panel, which provides you with some excellent, crisp, clear clarity — better than ever before. With the new iPad Pro, you’ll be able to easily view those Ultra HD 4K photos in their highest resolution, allowing you to see every little detail. With this new iPad Pro refresh, we’d say that screen quality is actually more similar to the new MacBook Pro 15-inch than anything! Text is sharp, and you’ll be able to see stunning and refreshing images when watching movies, playing games, or viewing regular videos through something like YouTube. As you know, the Samsung Galaxy Tab S4 also has a 10.5-inch screen, but actually uses Samsung’s own Super AMOLED panel. This provides you with some deep and rich colors, but you won’t necessarily get the same screen clarity seen on the iPad Pro. You still get good clarity and great resolution; however, there are few display panels that are able to beat the display prowess of the Retina, let alone the Liquid Retina. Colors are deeper with the Super AMOLED, so many of your darker color palettes will actually look excellent on this display. The iPad Pro comes equipped with Apple’s own 10X Fusion chip, which is able to handle a ton of stress. It’s great for multi-tasking and multi-window activities, which the iPad Pro is designed to handle. There’s actually a co-processor in the iPad Pro, which doesn’t help with generally tasks, but is completely designed to handle Apple Pencil functionality. It’s where the Apple Pencil precision tracking comes from, as well as all of your drawing abilities and more. Apple generally doesn’t share how much RAM is in their tablets, but iOS seems to handle memory particularly well in the iPad Pro tablet. On top of that, depending on the model you pick up, the iPad Pro has 802.11ac Wi-Fi and/or LTE cellular data. There’s a battery inside, which lasts 10 hours with straight use; however, it charges up pretty quickly thanks to USB-C fast charging technology. 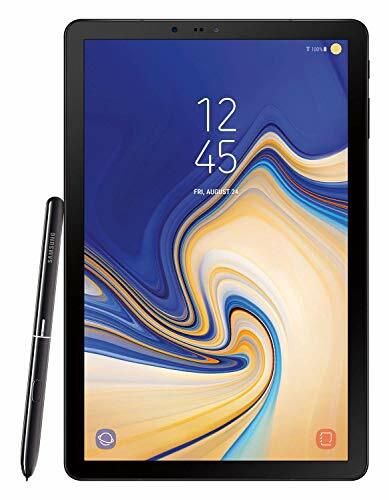 The Samsung Galaxy Tab S4 comes equipped with the popular and well known Qualcomm Snapdragon 835 processor. It’s an octa-core processor, so it can handle quite a bit of processing demand, including multi-window activities. Samsung’s tablet comes equipped with 4GB of RAM, as well as 64 or 128GB of storage. There’s a microSD slot, which can expand storage up to 512GB. That’s something that the iPad Pro doesn’t have. There’s a 7,300mAh battery inside, which depending on use, should be able to last between 8 and 10 hours straight. It does charge up pretty quickly, thanks to the USB-C fast charging. One of the unique things about the Galaxy Tab S4 is that it comes with an S-Pen with your purchase, so unlike the iPad Pro, you don’t have to buy the stylus separately. As far as wireless connectivity goes, the Samsung Galaxy Tab S4 supports Wi-Fi 802.11ac. There’s no mention of LTE or cellular support of any kind. The camera is obviously not the most important part of these tablets, but is worth a quick mention. The iPad Pro has a 12-megapixel rear-facing camera. It protrudes from the body of the iPad a little bit, but can actually take some really nice photos. There’s a 7-megapixel front-camera for video calls and the like. The Galaxy Tab S4 actually doesn’t have a rear camera at all. Instead, there’s a front 8-megapixel camera for video calls and the like. Accessory support might be one of the most important parts of the iPad Pro and Galaxy Tab S4, and luckily, there’s a lot of awesome accessories for both tablets. For the iPad Pro specifically, Apple has a number of accessories available. There’s the Apple Pencil, which is a stylus for the tablet. You can actually use to draw digital art and more, thanks to how precise it is, as well as the many different drawing options available. The Apple Pencil allows you better control of some apps, too. There’s also the Apple TypeCover, which transforms your iPad Pro essentially into a laptop. It enables you to, well, type, which makes it ideal for crafting documents, sending emails, and more. There’s a ton of other accessories for the iPad Pro on the market as well, but those are the two most popular choices. The Samsung Galaxy Tab S4 has some nice accessory support as well. You don’t have to worry about a stylus for it, as the tablet comes with one right out of the box. It’s not as precise and well-built as the Apple Pencil, but it’ll get the job done. You can purchase a TypeCover to go with the Galaxy Tab S4, which will transform it into a laptop-like machine. There’s one from Samsung, as well as tons of options on the market today. The Galaxy Tab S4 has a ton of accessories available — a quick search on Amazon will show you a vast amount of choices. As you can see, there are a lot of difference between Apple’s iPad Pro and Samsung’s Galaxy Tab S4. We think the clear winner here is the iPad Pro, as it has much better software support as well as better accessories overall. It’s a little more long-lasting, and if you have other Apple devices, the seamless integration that iOS provides is unmatched.